Bangkok, Thailand (10 November) -- At its 14th Annual Conference in Bangkok, Thailand, the Roundtable for Sustainable Palm Oil (RSPO) publicly awarded leading global agribusiness company Olam International with a certificate recognizing that the Awale plantation in Gabon has successfully met its standard for environmental and socially responsible palm oil production. WWF welcomes this first RSPO certification of a new palm oil development in Africa that has boosted the area under RSPO certification on the continent by 30 per cent. The Awala plantation is a joint venture between Olam and the Republic of Gabon and occupies 6,700 hectares, within 20,000 hectares of total land leased by the company. The area not devoted to palm oil is actively managed by Olam for conservation of biodiversity and forest carbon and protection of water catchments, as well as fulfilling RSPO requirements for protection of high conservation value areas. 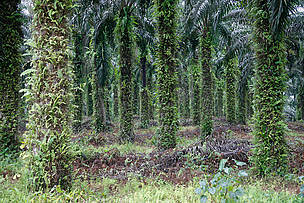 WWF provided technical assistance to Olam as part of the certification process, including its implementation of the RSPO’s New Planting Procedure (NPP), which RSPO member companies must undertake before expanding into new land areas, including identification and setting aside of high conservation areas and working fairly with local communities. Moving forward, WWF will ensure that national stakeholders, including government agencies and local NGOs, are fully involved in the certification monitoring plans related to the Awala plantation, including HCV protection measures, respect of customary rights and land tenure conflicts. 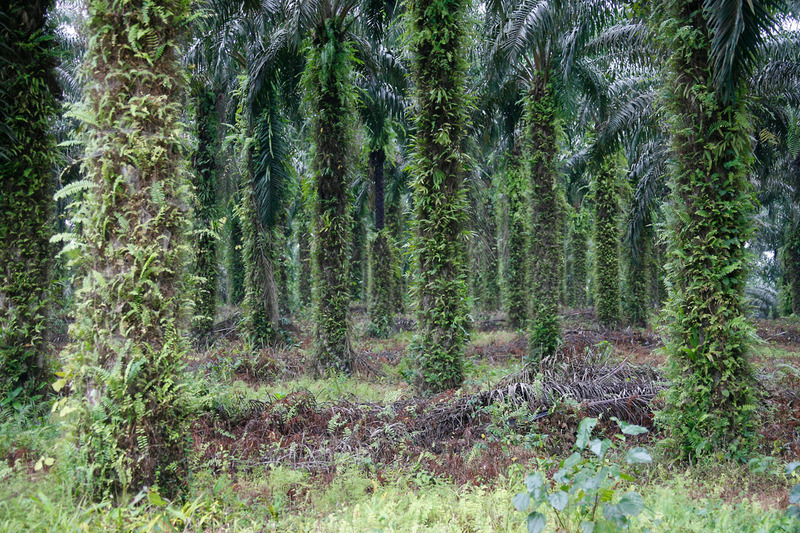 WWF will also support the company in undertaking an NPP and subsequent RSPO certification of its AwalaMouela Plantation comprised of 48,000 hectares within 91,500 hectares of concession in 2017. Since 2012, WWF’s regional palm oil program has worked to reduce the ecological footprint of the palm oil sector in the Congo Basin area in Central Africa, with a focus on the five main producer countries in the region, Cameroon, Central Africa Republic, Democratic Republic of Congo, Gabon and Republic of Congo. Within this program, WWF plays an advocacy role for responsible decision making about oil palm development and also supports growers, both companies and smallholders, to adopt environmental and social best management practices such as the RSPO Principles and Criteria. In Gabon, WWF also initiated and co-led the RSPO national interpretation process in collaboration with Olam and SIAT, another agribusiness company. WWF aims to ensure that any palm oil company developing in Gabon complies with the national RSPO standard. WWF is one of the world's largest and most respected independent conservation organizations, with more than 5 million supporters and a global network active in over 100 countries. WWF's mission is to stop the degradation of the earth's natural environment and to build a future in which humans live in harmony with nature, by conserving the world's biological diversity, ensuring that the use of renewable natural resources is sustainable, and promoting the reduction of pollution and wasteful consumption. www.panda.org/media for latest news and media resource.